Many butter or oil based layer cakes benefit from encircling the cake pan’s sides with an insulating cake pan strip, which will give you a more even crumb and texture throughout the cake as well as the sides less likely to over-brown. There are several manufactured cake strip products, including Rose’s own Heavenly Silicone Cake Strips, which was the first silicone strip on the market. 5. moisten the paper strips with water. 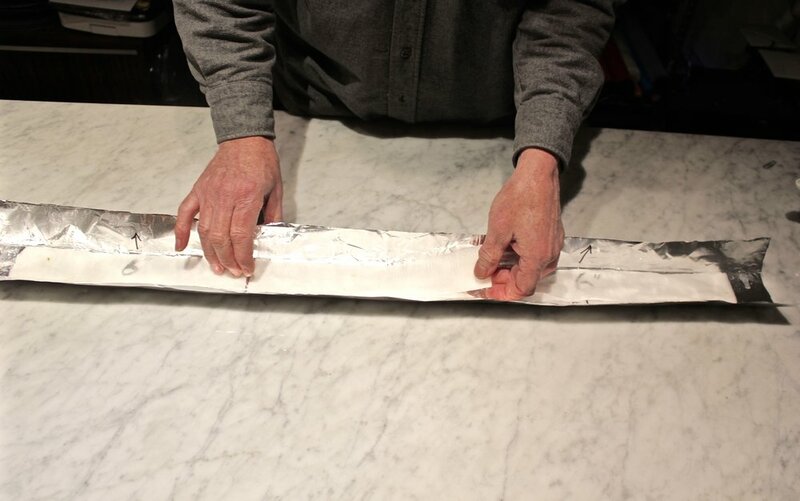 6. place the paper strips on the foil leaving around 2 1/2 inches of exposed foil on each end. 7. fold the foil’s lengthwise sides over the paper strips. 8. fold the foil’s ends over 2 inches to encase the paper strips. 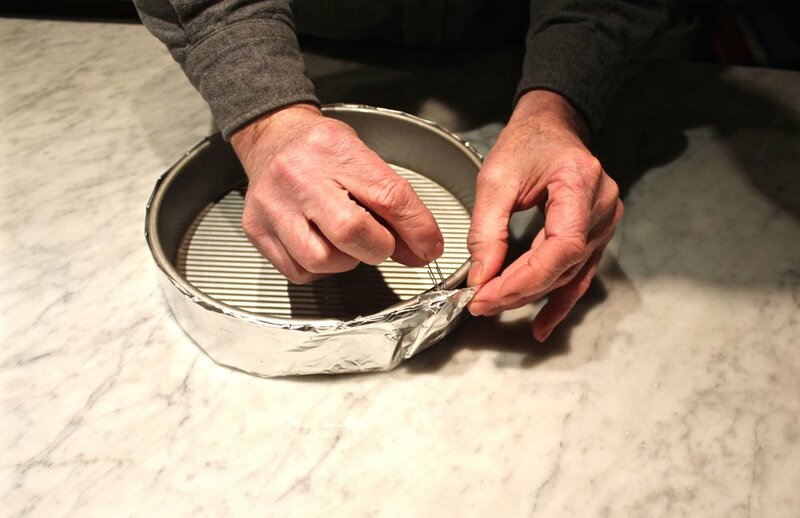 9. wrap your cake pan with the foil strip’s open edge facing up. 10. use paper clips to hold the overlapped ends of the strip together. You can also use metal clamps to secure the strip to the cake pan, especially for rectangular pans, although your cake’s top edge may become slightly marred if it rises onto them. The foil cake strips can be reused. Just unfold the aluminum foil before using them to moisten the paper towels. You can also attach overlapping strips for encircling larger pans and odd-shaped pans.